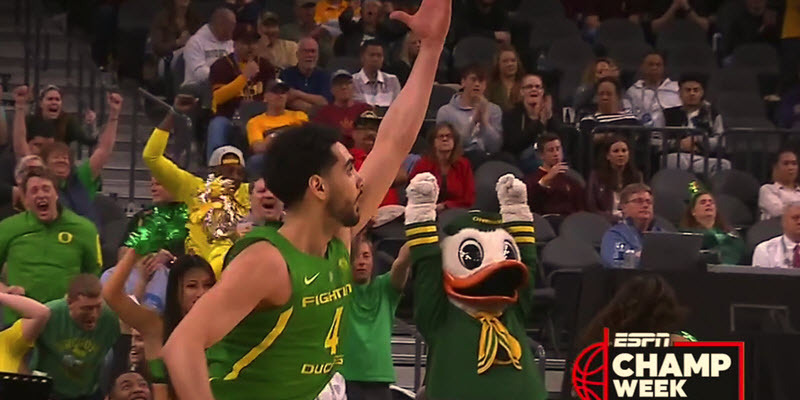 My friends…I am running between tasks today and do not have time for a full article, but I wanted to get the discussion going about this most improbably eight game winning streak that has now turned into an NCAA slot that no one saw coming a month ago. Where to we begin? And beating the Huskies by twenty in the Pac-12 Tournament Championship? That is going to make someone howl! Let me know your thoughts and how you think it happened, as this is the most stunning turn-around stories of Dana’s career at Oregon. Whew!